1. Tap the overflow button and tap Save a Copy, then tap Reduced File Size Copy from the sub-menu. 2. Xodo provides three smart presets that can be used for different purposes. Higher Quality - The file will run through minimum optimization. Image quality will remain untouched. This option is preferred if you want to keep original quality of the file but want to reduce the file size after adding/deleting/rearranging pages, as well as adding/modifying/deleting annotations. Balanced - The file will run through some optimization. 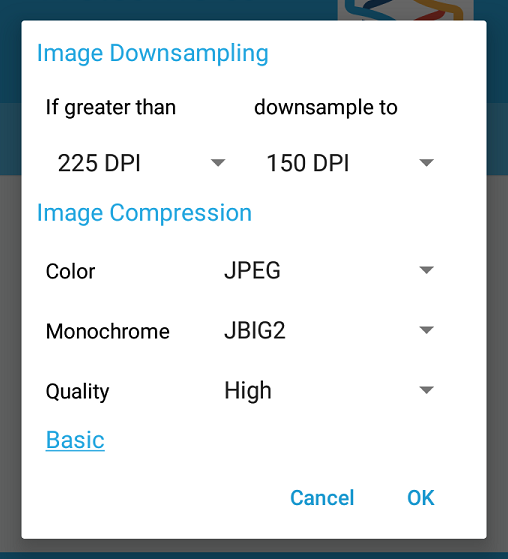 Images with 225 DPI or higher will be down-sampled to 150 DPI. Image quality will be set to high. 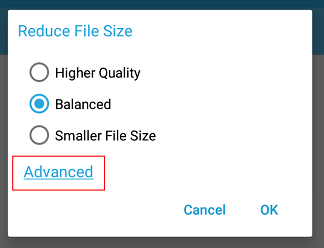 This option is preferred if "Higher Quality" option did not reduce the size to your desired level, and you are OK with some down-sampling and compression to the images in the file. Smaller File Size - The file will run through more aggressive optimization. Images with 120 DPI or higher will be down-sampled to 96 DPI. Image quality will be set to medium. This option is preferred if your main goal is to reduce the file size to as much as possible. Switch to the Advanced view to see the exact configurations. 3. If none of the presets worked for you, you can use the advanced view with detailed options. Why do pictures in pdf files look paler? 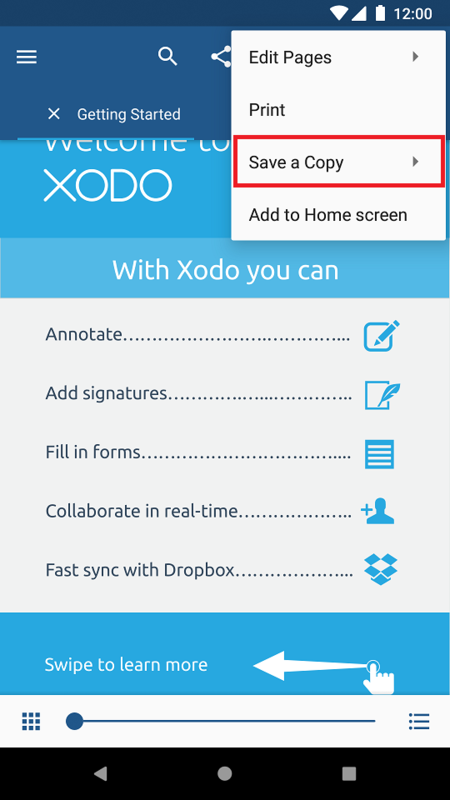 What is my Xodo Version? Can I open a template and save as? I can no longer fill out form fields with date format, why? Why are my files saved as duplicates instead of rewrite the original PDF?